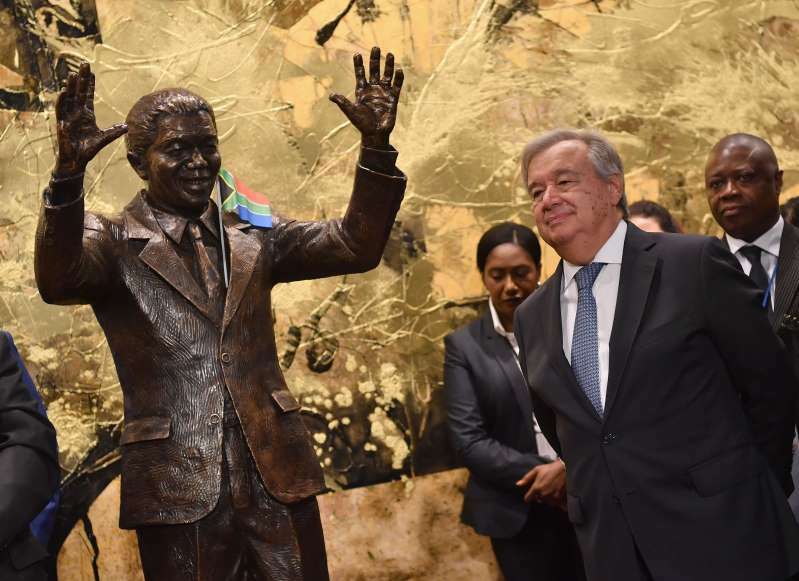 As the United Nations General Assembly’s annual top-level meeting began yesterday., world leaders looked to Nelson Mandela’s legacy of championing peace, human rights and global cooperation but acknowledged the world is far from achieving his ideals. At a peace summit honouring the late South African leader, nations from around the world adopted a declaration recommitting to goals of building a peaceful, inclusive and fair world and “to revive the values for which Nelson Mandela stood” by emphasizing human dignity. implored them to take on “ego-driven” decision-makers, political dogma, greed and the arms industry. “Humankind will hold you accountable should you allow suffering to continue on your watch,” she said. The appeal for peace and collaboration came as the U.N.’s founding concepts of shared values and responsibility are being tested, from the “America First” agenda of United States President Donald Trump to the United Kingdom’s impending divorce from the European Union and more. U.N. General Assembly President Maria Fernanda Espinosa Garces said Mandela “represents a light of hope for a world still torn apart by conflicts and suffering” but one where there are concerns about the international community’s ability to work together to resolve such major problems as poverty, hunger, war and global warming. (SUN).